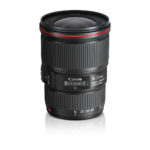 This exciting zoom lens provides ultra wide-angle coverage to the EOS 20D, 30D, 40D, 50D and Digital Rebel shooter. 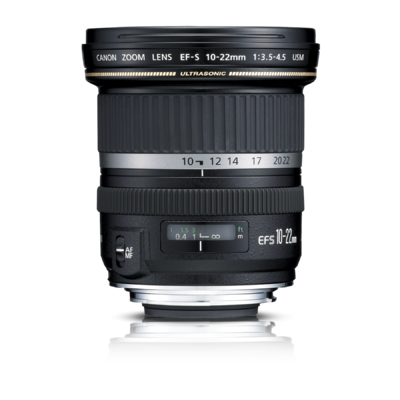 Equivalent to a 16-35mm zoom, it offers excellent performance and optics designed from the ground-up for digital SLR use. 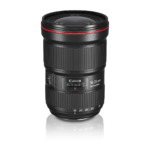 Three Aspherical lens elements, plus a Super-UD element, assure image quality. 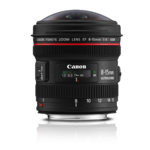 Its ring-type USM means fast and silent AF along with full-time manual focus. 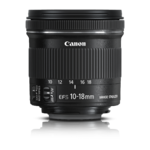 Canon Lens: Zooms - Canon EF-S 10-22mm f/3.5-4.5 USM (Tested) - SLRgear.com!